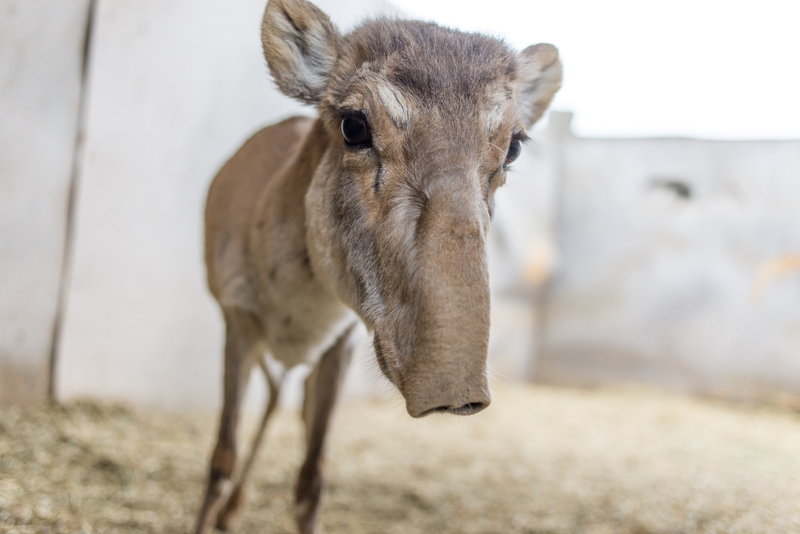 The endangered saiga antelopes that roam the hills of Russia and eastern Europe have been dying off in tremendous numbers, and no one seems to know why. Earlier this spring up to 211,000 saigas died – that’s 88 percent of the large Betpak-dala population in Kazakstan and half of the species overall. Scientists have guesses about the mystery, ranging from bacterial infections to the effects of climate change. Richard A. Kock, of the Royal Veterinary College in London told The New York Times, “I’ve worked in wildlife disease all my life, and I thought I’d seen some pretty grim things, but this takes the biscuit.” He stresses how this type of occurrence is not “biologically normal” and researchers are scrambling to find the reason why the antelopes are dying off so quickly. 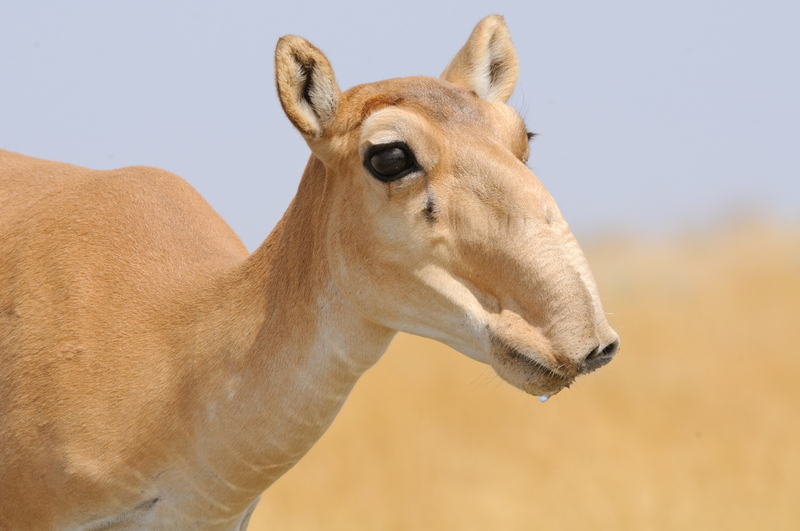 One possible explanation is the presence of Pasteurella multocida and Clostridium perfringens bacterial infections, which were found in necropsies of the saigas, along with signs of internal bleeding. The bacteria are usually harmless and expected in the animal world, yet can quickly turn into deadly epidemics. Researchers estimate that climate change effects, specifically the higher temperatures during the spring months, may prompt the bacteria to start producing deadly toxins. This, coupled with the vulnerable state of the antelopes during this time of the year after shedding their winter fur and giving birth to newborns, may have led to this year’s tragic death toll. 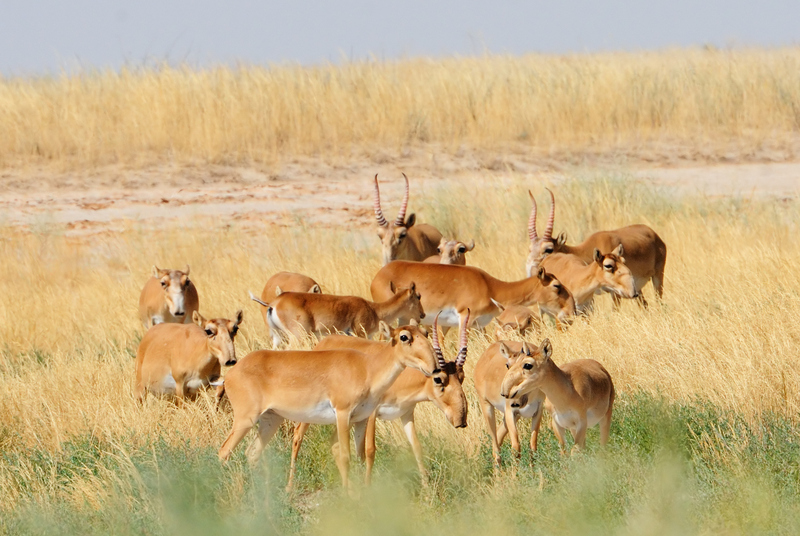 At a meeting last week, conservation groups from Kazakhstan, Mongolia, Russia, Turkmenistan and Uzbekistan, along with representatives of governmental agencies agreed upon a five-year action plan to help protect wild saigas. Setting up captive breeding programs, opening up migration routes for the animals, and possibly becoming more stern with poaching laws are among the possible solutions. Hopefully, these measures and the continued efforts of those investigating bacterial infections can assist in preserving remaining saigas populations. Saigas antelope in the wild.